My issue is that when running a compilation, even if the compiler output goes to the correct buffer, the *compilation* buffer doesn't scroll automatically to always display the most recent text. The normal scrolling behavior seems to only be enabled when the *compilation* buffer is created by the compile command and not by hand. Even if I make the window with this buffer dedicated latter. Is there a correct way to create the *compilation* buffer without running the compile command but keeping the compilation-scroll-output configuration behavior? Major mode for compilation log buffers. move point to the error message line and type RET. To kill the compilation, type C-c C-k. Runs ‘compilation-mode-hook’ with ‘run-mode-hooks’ (which see). 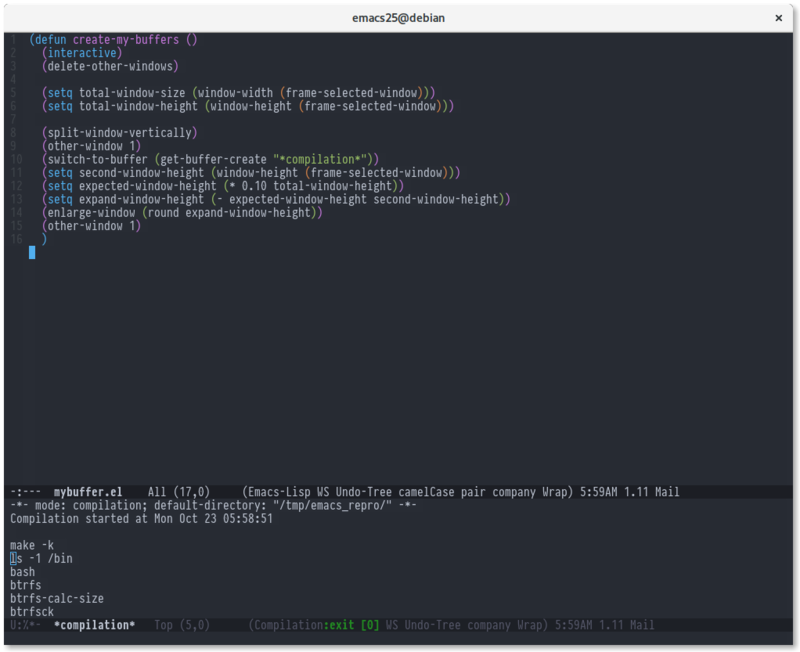 EDIT 2: It seems that the scrolling is done correctly if I launch M-x compile from the window containing *compilation* rather than from the window containing mybuffer.el. Since I wasn't able to recreate my former success (see the comments below), the only answer I can offer is that the output scrolling works only in two cases: either, if you run the compilation command from the compilation buffer, or, if you re-use the compilation buffer for a second compilation. It is not clear to me why any setup with (compilation-mode "Compilation") or (compilation-setup) does not work; it seems to ignore any customized variables when the compile command does not create the buffer itself. 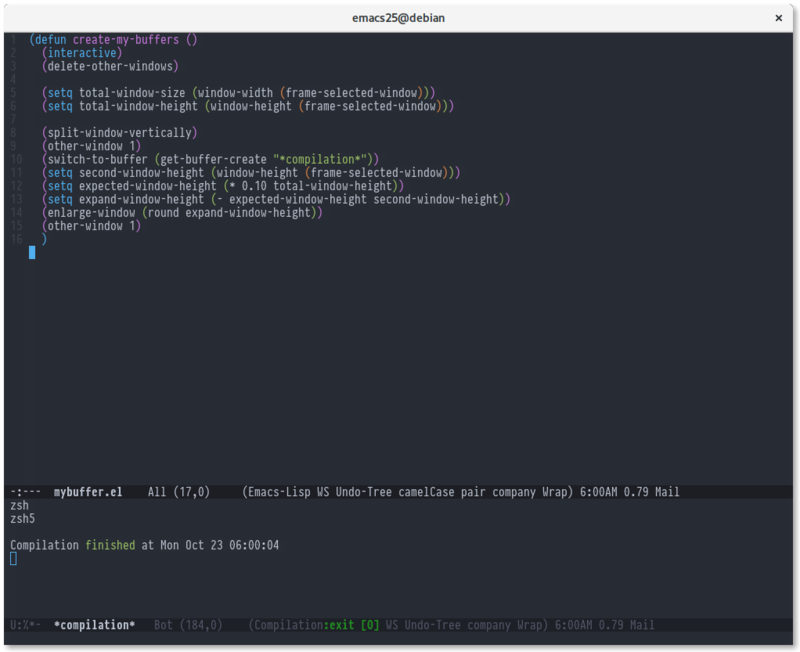 Maybe this can be considered a bug and should be put into the Emacs bug tracker at gnu.org, if it is not already there. The instance when I was able to make it work must have been a lucky shot, but, as already said, I cannot recreate what I did manually –– sorry. Not the answer you're looking for? Browse other questions tagged compilation compile-mode or ask your own question.